Anime NYC 2018 is fast approaching. 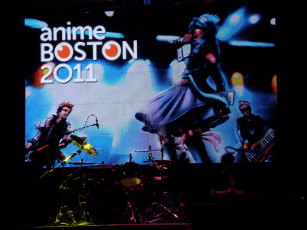 Last year, the event’s inaugural convention hosted Anime Diva Night powered by Anisong World Matsuri! 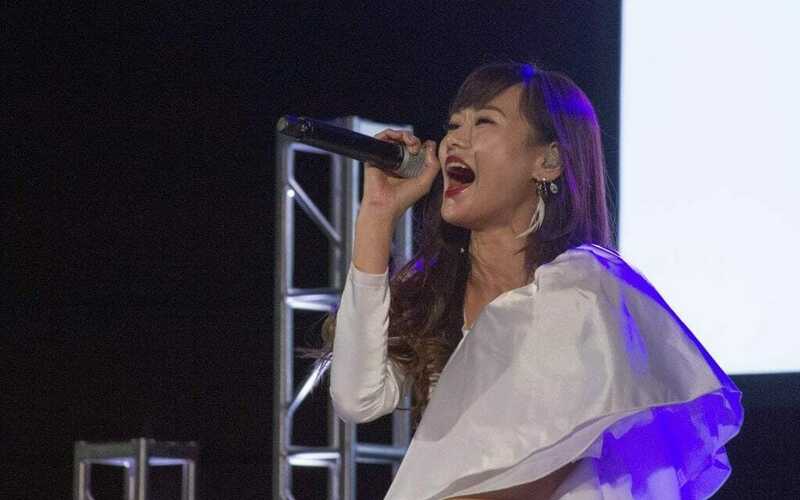 The concert was headlined by Chihiro Yonekura, Yoko Ishida, and TRUE. Before the concert, they indulged their fans with a Q&A. With Anisong World Matsuri returning to Anime NYC 2018, let’s look back on the Anime Diva Night concert. The trio opened up in unison with iconic Sailor Moon theme song Moonlight Densetsu. Fun fact about Moonlight Densetsu: It was the #1 anime song for karaoke for a decade. It was great to see the trio collaborate, especially on a song that the audience knew so well. After warming the audience up in the name of the Moon, Ishida and TRUE cleared the stage for Yonekura. She opened her solo set with her classic WILL (Soul Hunter). That was a personal favorite of mine. She followed with Butterfly Kiss (Groove Adventure Rave). That was nostalgic piece for those of us who remembered when it was on TBS (although most of you would be more likely to have seen it on Cartoon Network or SyFy). Yonekura closed her solo set with Yakusoku no Hi (Fairy Tail). It was another major piece that allowed the crowd to sing along. 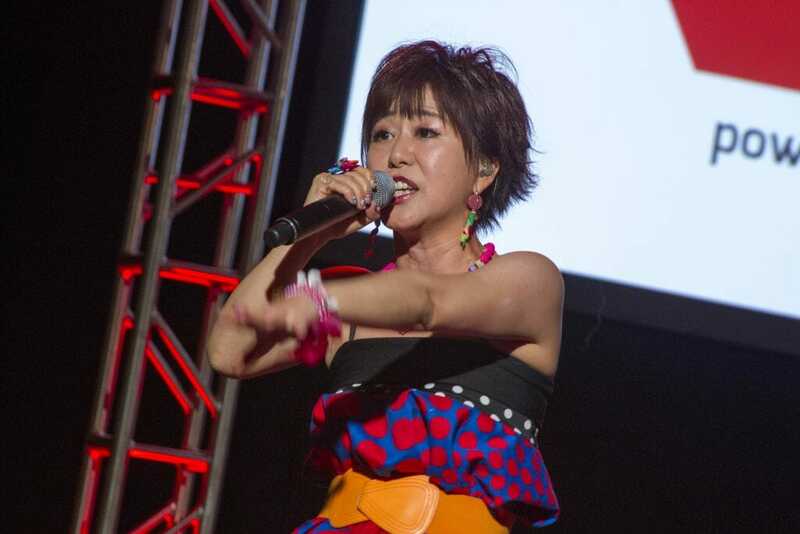 Afterwords TRUE returned to the stage to join Yonekura in a duet performance of Minami Takayama’s Just Communication (Mobile Suit Gundam Wing). Seeing them perform the piece together was glorious. TRUE stayed on stage for her solo set. She opened with Hiryu no Kishi (Undefeated Bahamut Chronicle). We returned to the Gundam universe with Steel – Tekketsu no Kizuna (Mobile Suit Gundam: Iron-Blooded Orphans). She closed her set with ailes (from the criminally underrated Maria the Virgin Witch). We got another major collaboration, with Yoko Ishida joining TRUE to perform God Knows (The Melancholy of Haruhi Suzumiya). I can’t stress enough how cool it is to see the stars perform together, and on such major pieces. Ishida stayed on stage to perform Open Your Mind ~Spread Little Wings~ from Ah! 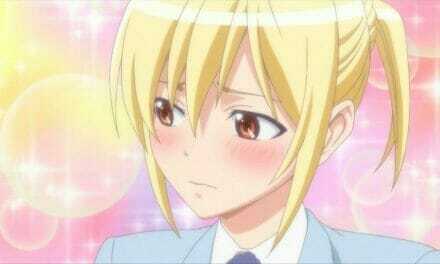 My Goddess! Afterwards, we returned to Fairy Tail with Forever Here. I wonder, though, how many anime are just starting now that will run for 275+ episodes? Speaking of long-running shows, Ishida’s Otome no Policy was a blast from the past. Yonekura returned to the stage to join Ishida for perhaps the single most recognizable track in the history of anime. It’s certainly the most covered. I am speaking, of course, of Neon Genesis Evangelion’s A Cruel Angel’s Thesis. Their performance was amazing. Yonekura stayed on stage to perform her classic masterpiece Arashi No Naka De Kagayaite (Gundam 08th MS Team). TRUE was up next, with Dream Holister (Sound! 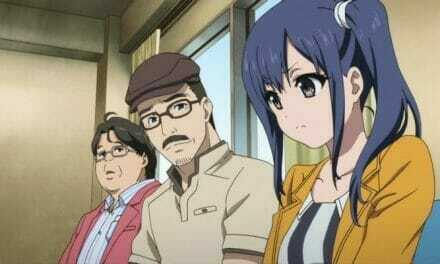 Euphonium). Ishida returned to sing her Strike Witches opening, Watashi ni Dekiru Koto. When the three united on stage again, we were all left wondering what the final collaboration would be. We didn’t have to wait long, as the crowd exploded at the first few notes of Sailor Moon’s Sailor Stars Song. 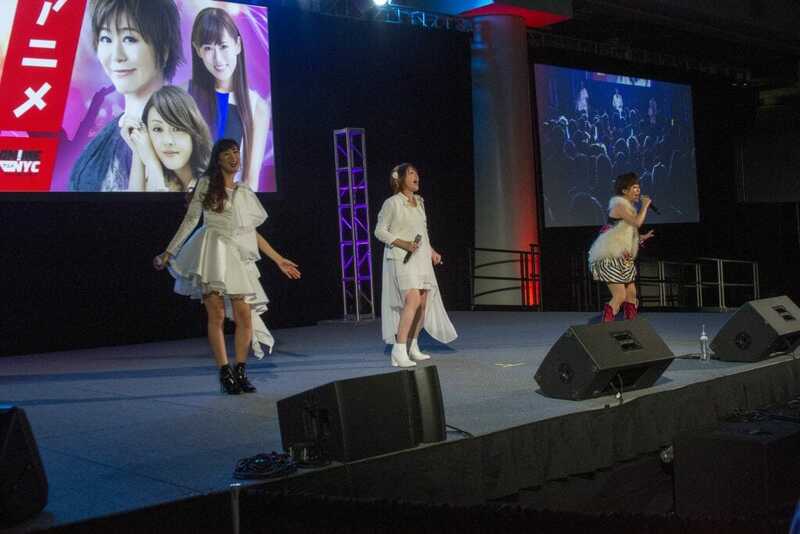 Anisong World Matsuri gives fans a chance to connect with some of their favorite artists. It’s wonderful that Anime NYC and Anisong World Matsuri are coming back with a pair of shows this year. By the way, I’d like to take a moment to congratulate Hiroshi Kitadani for overcoming his health issues, such that he could make the trip and perform. Diva Night was a blast, and I’m sure the 2018 concerts will be something special. Thanks to Anisong World Matsuri and Anime NYC.